Police officers can give two kinds of tests to DUI suspects: chemical tests and field sobriety tests. Both types of tests can be unreliable for a variety of reasons. 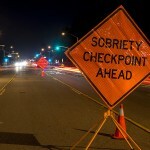 If you are charged with DWI in southern California on the basis of chemical or field sobriety test results, those results can be challenged and disputed by an experienced Orange County DUI defense attorney. These tests can be difficult even for a sober person, but the law does not require most drivers to consent to them. In California, if you are over 21 and not on probation for DWI, you have the right to decline an FST. Chemical tests (breathalyzer, blood, and urine tests) ostensibly determine if you have a blood alcohol content (BAC) level of 0.08 percent or greater (0.08 percent is the legal limit for driving in California). A chemical test is only required after a formal DWI arrest. 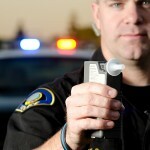 In standard DWI cases, the breath test is usually administered. Blood and urine tests are rare except in cases involving drugs or DUI felony cases with injuries or fatalities. If you refuse to submit to a chemical test after a DWI arrest, your driver’s license can be suspended. Failing a chemical test does not make you guilty of DUI. At trial, a good DWI defense lawyer can challenge the field or chemical test results and introduce other factors that enhance your defense. If you’re charged with DWI in southern California, you should know that the punishment can be harsh and the consequences can be long-term if you’re convicted, so it’s imperative to speak an experienced DUI defense attorney right away.